interesting. 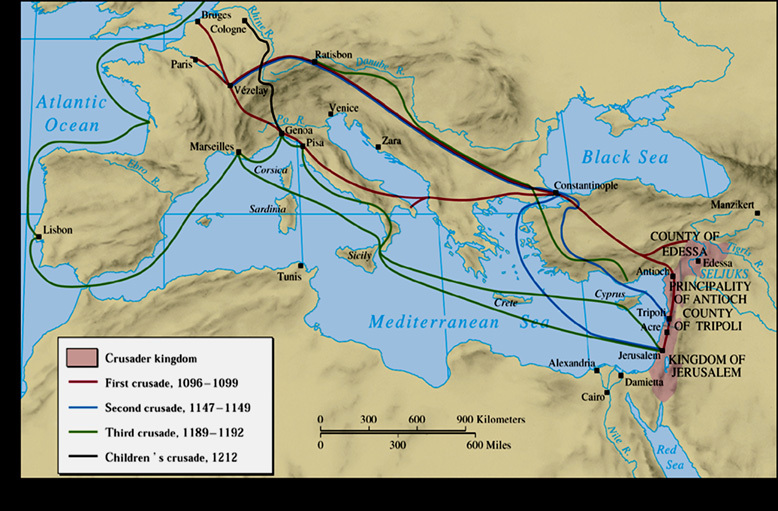 The number of crusades was interesting – there were many but it also depends on what you count as being a crusade. The extent of Tyerman’s discussion was weird – he includes theBalkan wars of religion – Christianizing Finland, Estonia, etc. But there’s really quite a lot about the economic factors, too – later on. The Crusades: A Very Short Introduction (Jan 12, 2006). I might recommend that one for a better introduction. Rome vs the Caliphate, Christianity vs Islam. A small but growing population of Jews in the Christian lands, many Jews and Christians in the Muslim lands. Growing trade between all areas. Papacy was oldest continuous institution – Jerusalem fell to Muslims in 638. The forged Donation of Constantine to expand empire. Charlemagne was made emperor and established the Holy Roman Empire in 800. 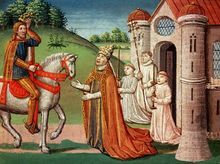 By the 900s there was much need of reform in the Church with the issue of control (on a variety of levels) being central – Henry IV of Germany became HR Emperor by force and installed his own anti-pope who ruled from Rome for the next decade. This section goes on to discuss the expansion of the Empire and the various individuals who held power, Urban II, Robert Guiscard, Hugh Capet Peter the Hermit as well as figures from the East, Alexius I (Komnenos) of the Byzantine Empire. as well as a bit of the Muslim world – from the Vikings to the Arab pirates. Chapter 1 is fascinating dealing with the philosophical underpinnings of a Christian war, where that concept originated and how it was expanded. Also, how the western concept of that was different from that of Constantinople which was apparently more secular. Tyerman doesn’t stop there – he notes that within a century of the Prophet’s death Muslim controlled a huge swath from Central Asia to Northern India and as far west as Spain.